Each of us who participate in organized bicycle clubs and club rides need to realize the e-bike invasion has begun. They are definitely moving mainstream. E-bikes have made dramatic advances in technology as well as in acceptance by mainstream cycling enthusiasts. The International Mountain Biking Association has reversed their anti-e-bike position and is supporting the use of electric bicycles on certain trails. 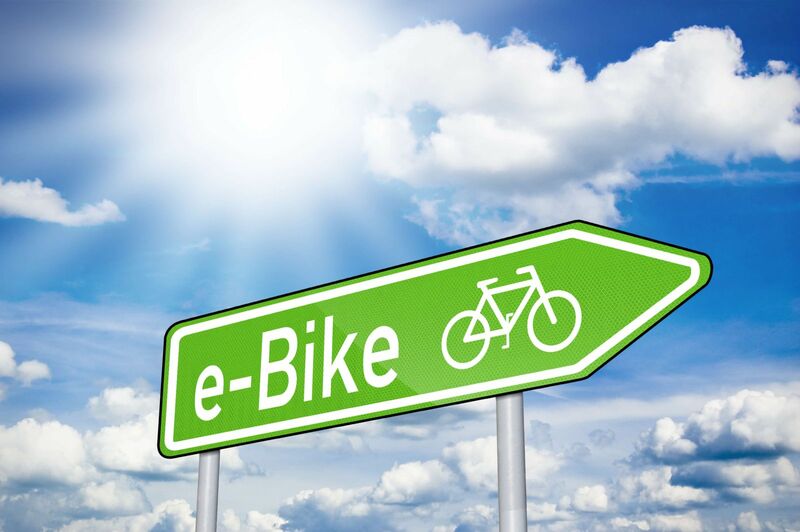 Sales of e-bikes in the United States has witnessed a significant increase year to year. It is projected nearly 400,000 will be sold in the U.S. this year more than double last year's sales. They remain a small 2.5% segment of the 16 million bicycles sold each year in the nation. They have become attractive across the spectrum from the casual cyclist to the more serious. Generally they are pedal assisted having a handlebar mounted display allowing the rider to select a level of the electronic aid from zero to full power when climbing hills or when dealing with challenging terrain. They are being purchased by novices, committed commuters and serious group riders as well. They are particularly attractive to someone who feels they can no longer keep up with their ride group and want a little boost on a hill or if they become fatigued on an unexpectedly difficult ride. Electric bicycles have not been addressed by the laws in most states, including Florida. The shared use non-motorized (SUN) trails throughout Florida will have to address how they approach e-bikes since they are specifically limited to non-motorized bicycles. Bicycle clubs may find it necessary to decide how their use may affect club rides and events. The proposed use of the bikes on trails around the country has sparked a significant debate both pro and con. Generally, e-bikes are considered to be pedal bikes with a motor assist. Most e-bike motors produce no more than 750 Watts. Most have a motor assist dial which allows them to be ridden entirely without electronic assistance or with full assistance which typically tops out at 20 mph. No one would consider buying one to use as a road bike in the pedal only mode since these bikes weigh two or three times that of a carbon frame bike. We can expect their weight and capability to improve dramatically as the technology is refined. Like most products, electric bikes are manufactured by mainstream companies like Specialized and Giant who produce bikes which operate pretty uniformly across their market line. But there are a lot of small companies making e-bikes which don't limit the rider to 20 mph. Some are capable of 28 mph or more and some do not require any pedal assist all. There will invariably be the inventive home operator who devises a way to add an electric motor to a bicycle capable of producing even greater speeds thus exposing those around them to greater danger. Jim Dodson Law has handled a number of bicycle accident injury cases. As an avid cyclist and bicycle accident attorney, Jim understands the Florida legal system and can help get you the compensation you deserve. If you have been in a bicycle crash and don't know what to do next, call us today. However, if you're not ready to speak with an attorney but would like more information, download our free Florida Bicycle Accident Handbook. This easy to read handbook will provide you with helpful information about your accident and it will also give you details about our 25 years of experience in representing clients who have been injured in cycling accidents.